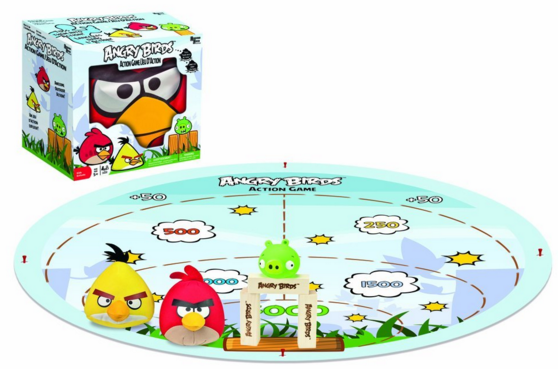 Angry Birds Indoor And Outdoor 3D Action Game Just $6.90 Down From $30! You are here: Home / Great Deals / Amazon Deals / Angry Birds Indoor And Outdoor 3D Action Game Just $6.90 Down From $30! Check out this neat add-on Amazon deal. Angry Birds Indoor And Outdoor 3D Action Game is just $6.90 down from $30! Get yours now while it lasts! Bring your favorite app game to real life with the Angry Birds 3D Action Game! Game is great for indoor and outdoor use. Toss the included angry bird plush toys to knock down the pig and blocks and score points. Contents include 1 plastic pig, 1 plush red bird, 1 plush yellow bird, gigantic scoring mat, 3 wooden blocks, score pad and rules. For 2 or more players, ages 5 and up.